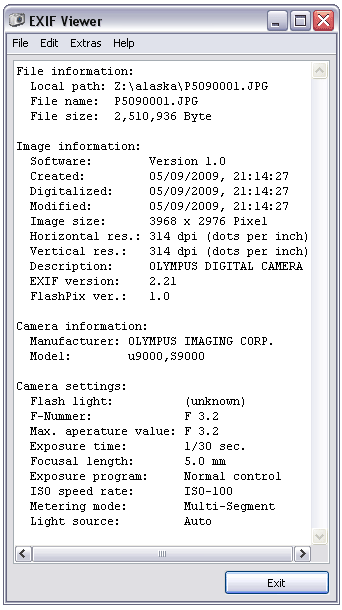 This Free Portable EXIF Viewer is a software tool that can be used to read and display the EXIF information of JPEG images. Current digital cameras save camera information, software revision information, creation and modification dates and more as EXIF information when an image, photo or picture is created. This Portable EXIF reader enables you to view these image creation and modification details.